Updated Discogs fetcher to new API (Bug 342827). Updated Moviemeter fetcher to new API. Added filter rules for Greater than and Less than numbers. Updated BoardGameGeek fetcher to new API. Added capability to import a BoardGameGeek collection. Added a data source for Mathematical Reviews. Fixed crashing bug with some ISBNdb results (Bug 339063). Updated Producer results for IMDb and TheMovieDB fetchers (Bug 336765). Fixed bug with Allocine API search using punctuation (Bug 337432). 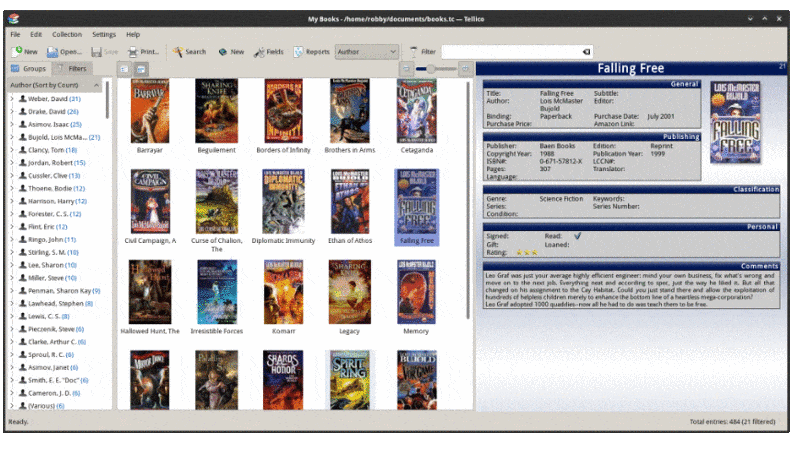 Fixed bug with importing Goodreads collection. Please let me know of any comments or bugs.